It's my favorite time of the year. Pumpkin, falling leaves, stews, cooler weather, and everything else that is typical fall. 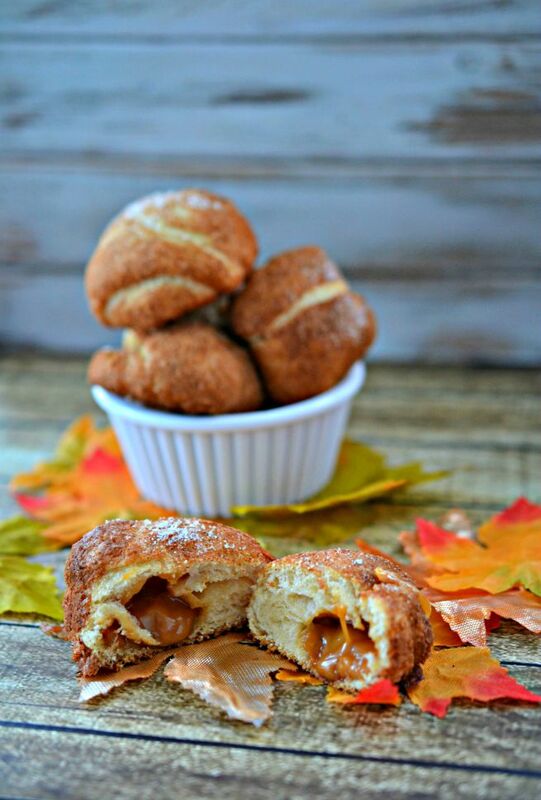 These caramel apple bombs are meant to be in your life. In a bowl, mix together the sugar and cinnamon. Line a baking sheet with parchment paper or spray with non-stick spray and set aside. 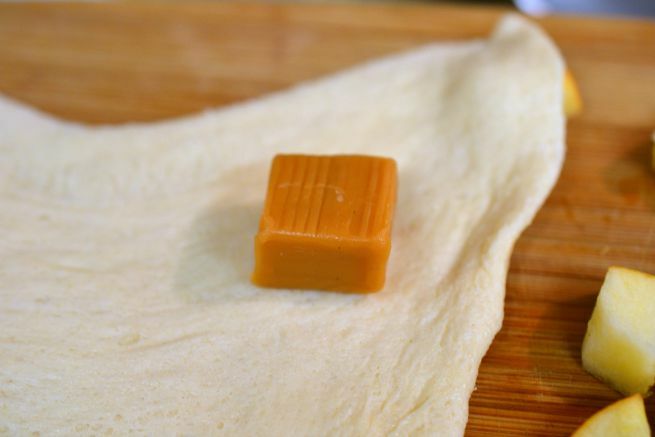 Unroll the Pillsbury Crescent dough. 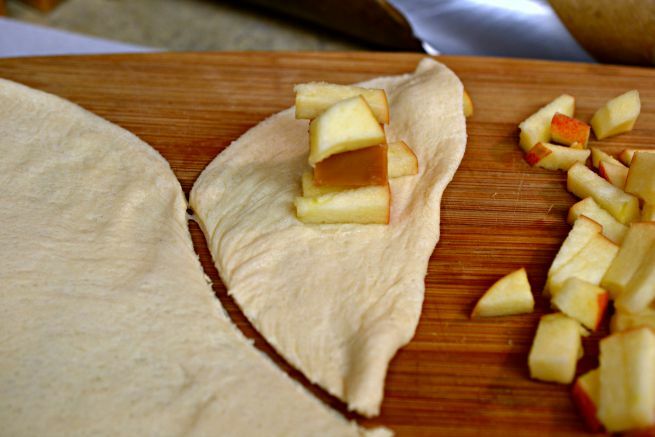 Place a caramel on the corner of the dough and add a spoonful of apples. 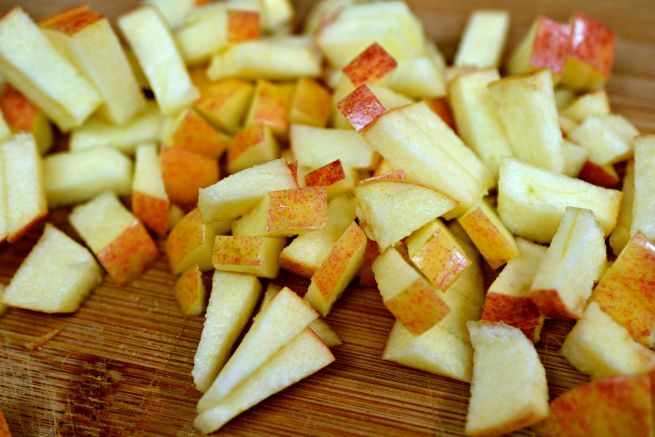 Cut around the caramel and apples leaving plenty of dough to be able to cover the mixture. Roll the dough over the caramel and apples and into a ball. 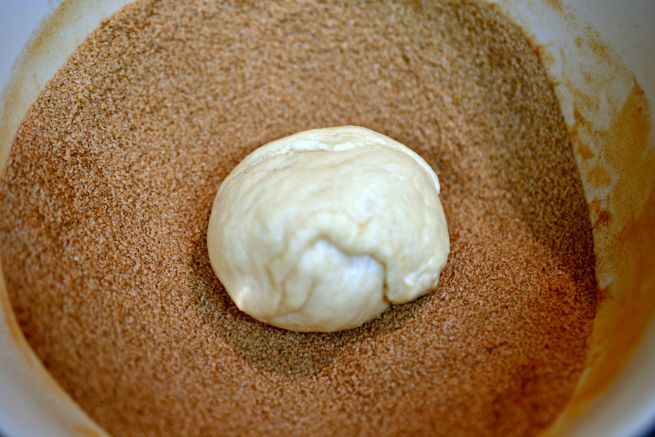 Roll the dough in the cinnamon sugar mix and place on a baking sheet. Bake according to the Pillsbury Crescent Dough instructions. You will want to let it cool for just a minute. These are best served warm so they are oozing, melted caramel goodness. Corn Maze & Pumpkin Patch at Tolmachoff Farms!